Bruce Wayne is locked up in an obscure prison which is at the foot of a deep well, in the bad lands on the eastern side of the globe (in this case Jodhpur in Rajasthan, India). After a failed encounter with Bane and a broken back, he is finally nursed back to health to regain enough strength to scale the walls of the well and jump out of the prison (after a couple of unsuccessful attempts) to head back to the city of Gotham and win it back from the evil forces. Good always triumphs over evil … no matter how strong or cunning the dark-side is. The Dark Knight rises for one last time and crushes all evil to eventually hang his cape & return to a normal man’s life (as fantasized by his age old butler Alfred). 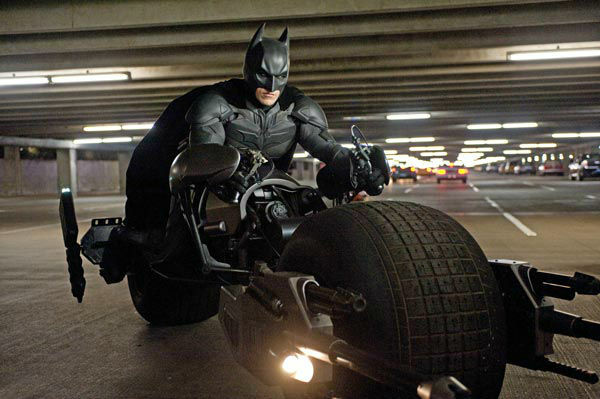 Slick effects & even slicker gadgets, with the Bat Bike taking over from the Bat mobile in this part of the series, define the movie and keeps you on the edge of the seat. Christian Bale predictably good is one of the best Batman till date and loves to show his darker & vulnerable side making him more believable. 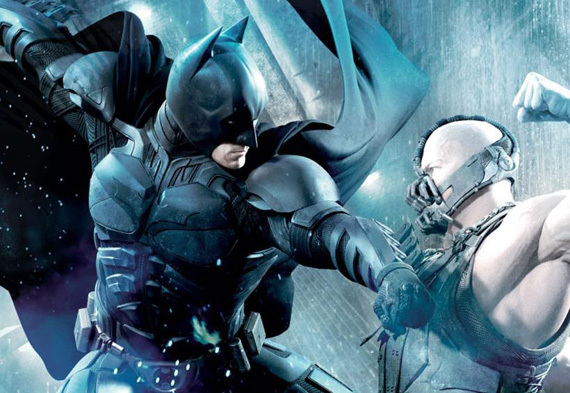 Tom Hardy as Bane is menacing and stronger than the hero … but frankly, I missed the Late Heath Ledger as the Joker. Anne Hathaway is hot and looks amazing in the cat suit dressed as the Catwoman. Shuffling between her good and bad side she ultimately chooses the Dark Knight and gets to ride his bike, (Like Val Kilmer in an earlier version of Batman said … it’s the car right, chicks dig the car … this holds true in this case too.) Marion Cotillard as Miranda Tate impresses in bits. The surprise package in this one is Joseph Gordon Levitt as Officer Blake and in some scenes comes across as more dependable than the Dark Knight. We better watch out for him in the future. My favourite scene is the initial sequence when Bane kidnaps a scientist Dr. Pavel from an aeroplane in mid-air. The entry scene of the Dark Knight during a car chase had the audience whistling and clapping (I always enjoy that). Christopher Nolan never ceases to amaze and this is definitely another one to treasure from his portfolio. What excites me more is, that he is directing the next Superman movie – Man of Steel, I can’t wait for it to be released. For me The Dark Knight rises had its interesting and melodramatic elements, but for movie lovers like me, we can never get enough of it. This entry was posted in Movie, Review, Television and tagged Bane, Batman, Christian Bale, Christopher Nolan, Dark Knight, Joker, movie review, The Dark Knight RIses. Bookmark the permalink.